When cars collide, the results can be catastrophic or even fatal. If you have been injured in a wreck in San Luis Obispo, or anywhere else in the state, the car accident lawyers at Ernst Law Group are here to help you get the compensation you deserve. Medical bills and stress can pile up quickly after your accident, so it’s important to talk to a car accident attorney as soon as possible to explore your options. If you were injured in a car accident that was a result of another’s negligence, you may pursue a cause of action to recover compensation for your injuries and other expenses. For example, if a driver was texting and not paying attention to his or her driving, and it caused an accident that resulted in an automobile crash and a physical injury, you may file a personal injury lawsuit to recover compensation for medical expenses, lost wages, pain and suffering, property damage and more. If punitive damages are applicable, compensation may be significantly higher. The San Luis Obispo Ernst Law Group car accident attorney is a premier law firm that has recovered millions of dollars for their clients. Automakers and responsible third parties such as mechanics, their employers, tire stores, brake stores and parts manufacturers are all potentially liable for their involvement in your injury. The Ernst Law Group will thoroughly examine accident reports, witness statements, work schedules and all important related evidence that may be utilized to support your personal injury claim caused by their negligent actions. Ernst Law Group will take your case to court for a jury trial if settlement offers are less than the appropriate and fair amount. After your accident, your insurance company or the insurance company of the other driver may try to offer you a settlement amount for your injuries and damages. Don’t accept the settlement until you’ve consulted with your car accident attorney. Claims adjusters often attempt to minimize accident victims’ injuries and get them to settle for less than they need to cover expenses. This is because they are looking out for their company’s bottom line, not necessarily your needs. Your Ernst Law Group car accident attorney is experienced in dealing with insurance companies and getting our clients the settlements they deserve. Anything you say in an official statement to insurance claims adjusters can be taken out of context and used against you, so we will handle all communication with the insurance company on your behalf. We are here to protect your rights and get you the compensation you need to recover and move on from your car accident. Keep receipts of bills from emergency room physicians, general practice doctors, chiropractors, physical therapists, and any other medical professionals you visit after your accident. If you are unable to work because of your car accident injuries, you may be able to recover the income you would have received. You may also be able to recover bonuses you would have received if you were capable of working. 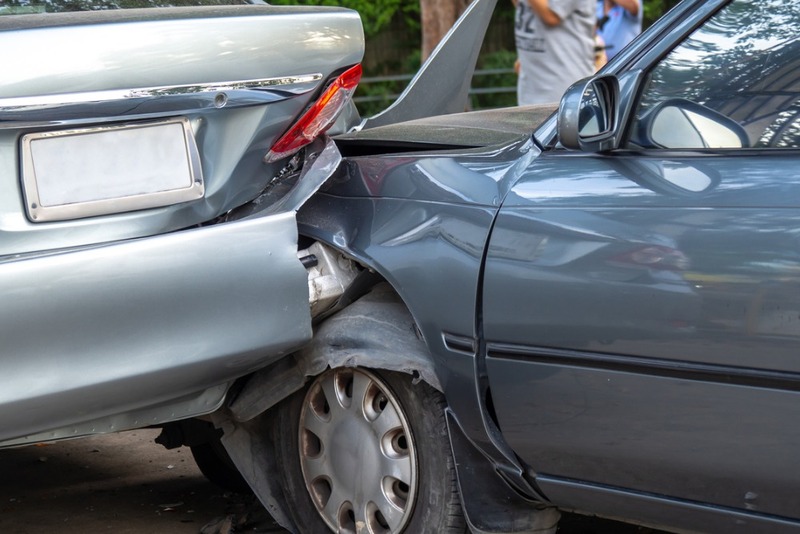 Depending on the severity of your injuries, your attorney may be able to help you receive compensation for physical and emotional distress caused by the car accident. For physical damage of your vehicle and the items inside, you may be able to recover expenses such as car repairs, towing services, and car rentals. Call our car accident attorney at (805) 678-0272, or contact us by email at info@ernstlawgroup.com. Our San Luis Obispo law firm offers a free case evaluation to auto accident victims. It is important to remember that lawsuits must be filed within specific time periods, usually within two years of the accident. Ernst Law Group handles car accidents on a contingency fee basis, which means that our earnings are deducted from the amount that we obtain in a settlement or court proceeding. If we do not win your case, you are not charged any fees. The Ernst Law Group is committed to protecting the rights of car accident victims in San Luis Obispo and beyond.